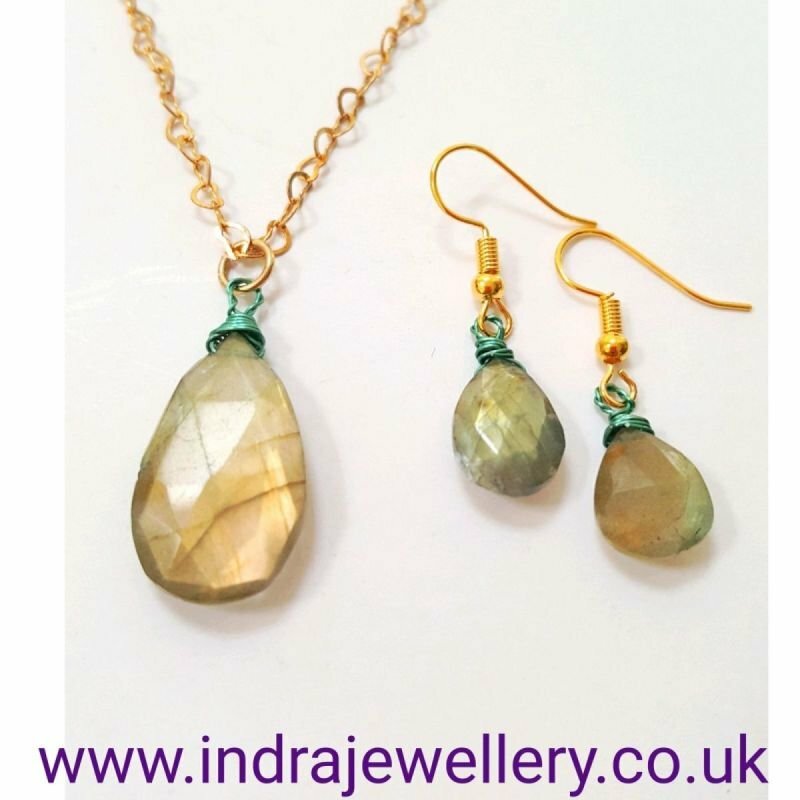 This is a stunning labradorite gemstone earring and necklace set! the labradorite has a really unusual peachy underlying hue and has been cut into teardrops then faceted enabling the gemstones to really catch the light. I have wire wrapped the stones with a green wire and attached the larger stone to a pretty gold plated 16" heart link chain, to the earrings I have added gold plated hooks. I have added a penny to the fourth picture to give an idea of size.